Others With 38mm steel frame. 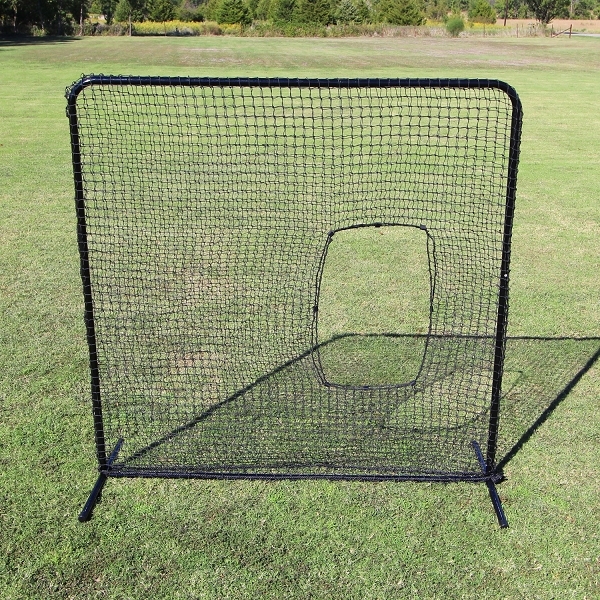 Custom nets and accessories are available. Any custom requirements about the Baseball Screen Nets and Frame are all available from Huaxing Nets, customized items include the material, weaving style, twine diameter, mesh size and form, color, net size, etc. If you have an indoor cage, and durability and break strength is more important than budget, nylon netting is right for you. 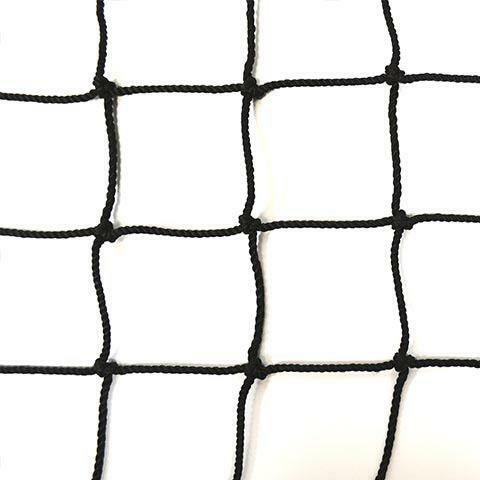 Nylon has the strongest break strength, and is by far the most durable netting for indoor use. Nylon has excellent resistance to abrasion, and outstanding overall durability. However, nylon is expensive. Because nylon netting can absorb water, many manufacturers treat the nylon with some sort of bonding agent by either dipping or spraying the twine. Although treating nylon with a bonding agent will dramatically reduce nylon’s tendency to soak up water, it doesn’t stop it entirely. Eventually, nylon will likely shrink and rot. When compared with polyethylene netting, nylon is initailly stronger than polyethylene, but deteriorates faster. Nylon loses between 15% and 20% of its strength each year depending on conditions. For year one, a #36 nylon will have a greater break strength than a #36 polyethylene, but depending upon weather conditions, by the end of the third year polyethylene may be as strong, and KVX200™ may be stronger. Although nylon netting has a high initial break strength, if left outside that strength can deteriorate rapidly. Nylon absorbs water and loses strength in direct sunlight. For indoor applications, nylon is an excellent choice. If your netting will be exposed to adverse weather, consider polyethylene or KVX200™. Polyethylene netting is inexpensive and does not deteriorate as quickly due to moisture. As the netting is exposed to moisture, polyethylene retains a higher percentage of its strength than nylon. Polyethylene does not absorb water, so the problem of rotting and shrinkage disappears. Polyethylene netting has drawbacks as well. Most blends of polyethylene don’t hold up well to direct sunlight. Not all polyethylene cages incorporate UV inhibitors. Ours do. This works well for indoor application, but it may not be practical over extended periods of outdoor use, especially in warmer climates.